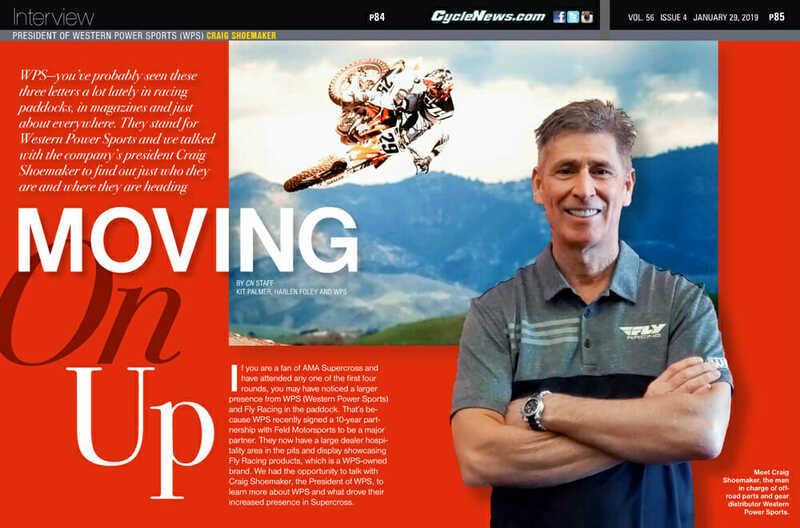 We talk with Craig Shoemaker, president of Western Power Sports, to find out just who they are and where they are heading. This is Craig Shoemaker, the man in charge of off-road-parts and gear-distributor Western Power Sports. WPS—you’ve probably seen these three letters a lot lately in racing paddocks, in magazines and just about everywhere. They stand for Western Power Sports and we talked with the company’s president Craig Shoemaker to find out just who they are and where they are heading. 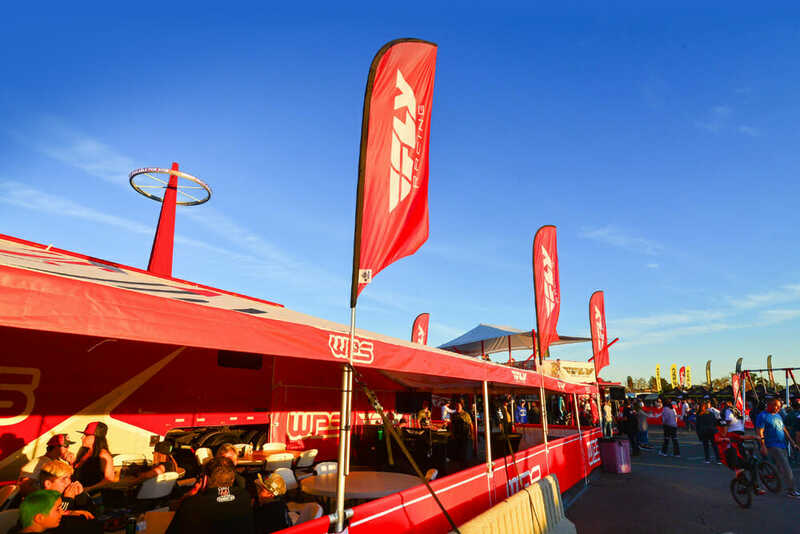 If you are a fan of AMA Supercross and have attended any one of the first four rounds, you may have noticed a larger presence from WPS (Western Power Sports) and Fly Racing in the paddock. That’s because WPS recently signed a 10-year partnership with Feld Motorsports to be a major partner. They now have a large dealer hospitality area in the pits and display showcasing Fly Racing products, which is a WPS-owned brand. 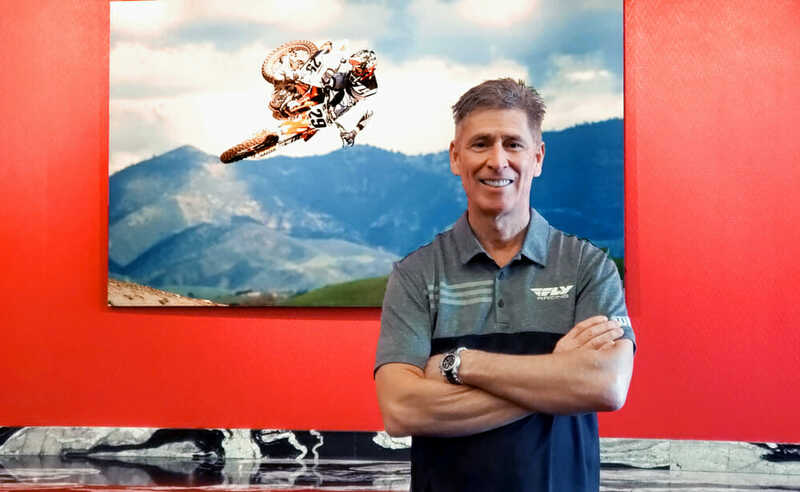 We had the opportunity to talk with Craig Shoemaker, the president of WPS, to learn more about WPS and what drove their increased presence in Supercross. First of all, what is Western Powersports and where did it come from? Western Powersports is a distributor selling just to the dealers in the U.S. We started as a small distributor [based in Boise, Idaho], just selling in the Northwest. Now, we have six warehouses throughout the U.S. My wife and I are the third-generation owners. We bought it in 2000. We’ve just kept plugging along as we go. I honestly didn’t have any goals. We just went to work every day, worked hard and plugged away. Our whole goal has been just be really good at what we do, give really good service, be really honest, take care of the customers and just get our piece of the pie, whatever that is. Then it just kind of kept going and going and getting larger and larger. We’ve really been blessed. Since 2000, when we bought the company, we’ve never had a down year, even when the economy had bad years in ’07 and ’08. We still squeaked out a little bit of an increase, so that was good. We’ve always been profitable. That’s always good. We just work really, really hard at what we do. I’ll be honest with you—it’s about the people that have become family. We have a lot of really good people that we’ve been able to continue to add. You let those people do their job. I get to steer the ship a little bit, but I learned at a young age from my father, hire good people and let them do their job. It sounds easy, but it’s actually hard to do sometimes, to get out of the way and let them do their job. Lead them but let them do their job. It’s been really, really good. WPS now has a large presence in the AMA Supercross paddock. It even is a co-title sponsor for one of the major supercross race teams that just won the Arizona round. I think a lot of motorcycle enthusiasts and racing fans probably are familiar with Fly. You have a few other house brands, but Fly is probably your best known. What year did you guys start Fly? Fly is 21 years old now; we started in ’98. The gear was launched around 2001. We started with the Fly helmet and handlebars. We didn’t get into gear for three years. We’ve come a long way. 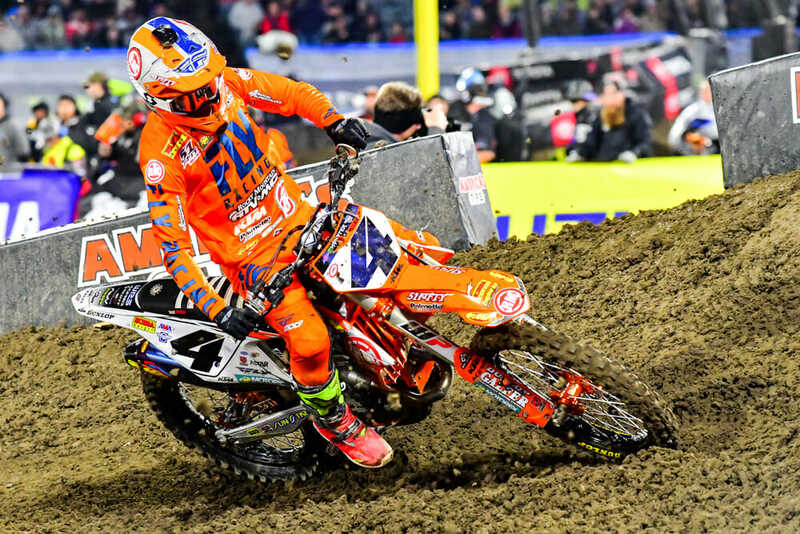 A lot of fans probably noticed a big presence of WPS and Fly at the opening of the 2019 AMA Supercross Series. What does that mean for Fly and for WPS as a company? Do you feel like it makes a statement, or is it an achievement as a company? I’ll be honest. If you had asked me this time last year, is that a goal? Is that something you really want? I would have said no. It will probably never happen, and so on and so on. But Feld came to us, offered us an opportunity. We looked at the marketing dollars and kind of where the company was at and where some of our plans were and everything, and it just seemed to be a good fit. We felt like we’d kind of done a pretty good job of growing and everything, but we’re not a California company. We’re an Idaho company. We’re a pretty humble company. I think we finally needed to let more people know that we are a pretty legit distributor in this industry. We’ve had dealers over the last four or five years asking us to compare ourselves to the “big guys” and wanting to know if we can service more business. We have six warehouses and from what I’ve heard, I think we have more reps than any of those big guys. But the perception that we’re this small company out of Idaho is not really accurate. Again, we don’t go around and beat on our chest too much and say a lot of stuff. We just roll up our sleeves and go to work every day and we slowly got to the point that we are now among the big guys if not the big guy. And we are investing to add around 430,000 square feet in additional warehouse space before the end of 2019. It gives us more opportunities to continue to grow. More infrastructure, more automated stuff, so we can continue to grow. We still have a lot of stuff with good momentum going right now. WPS also owns the Fly Racing gear brand, which you now see regularly being worn by top factory racers and champions. Overall, the motorcycle business based on new bike sales and just about any measurement that there is available, it’s flat to slightly down to maybe slightly up year over year, each of these last five years or so. WPS works with a lot of dealers, so what do you see in the market? Some segments are off a little more. There are other segments that are up. Depending on what part of the country. If you’re heavy into the UTV deal, you’re feeling pretty good. If you don’t have much of that and you’re heavy into a certain type of bikes, you’re feeling a little harder hit. Wherever we go, I see people on one side of the street struggling and people on the other side of the street doing really well. It doesn’t matter whether you’re in this business or you’re selling clothing or cars or whatever. I’m not kidding that it’s tough out there. We want our industry to be as healthy as it can be and go forward. We’ve been really blessed during this whole time to keep moving forward. If you look at the numbers, obviously we’re getting some market share from someplace else. We just roll up our sleeves every day, work hard and go to work and see how it lands. 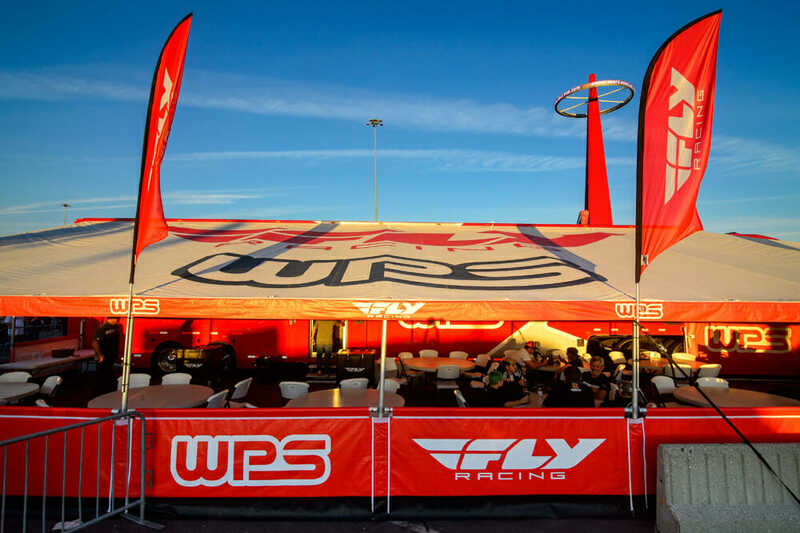 Next time you see the large WPS canopy in the Supercross pits, stop by and check them out. Any other thoughts about things in the future or things coming that you think set WPS up for ongoing success? I think we do this all the time, but I would say first of all it’s the people we’ve been able to hire. I’m just looking at our rep force because this week is our sales meeting. I was just walking through the room and just spent about an hour looking around and looking at people and going, “Man, we have really, really acquired a great sales team.” We’ve been lucky. Everybody has some really good reps working for them. Everybody has some weaker reps working for them, and then there’s just a lot of good in the middle. We all have that, but it seems like we kind of woke up over the last five years. We’re probably getting a little bit better share up on the top half, you might say. Which has also taken some of the bottom third away, because we’re just normal turnover and everything, but I feel like our overall rep force has really become a great group of guys and gals that you could put up against anybody. I think it’s good for our dealers. When you have those guys, it allows you to go forward with more programs and more service and more stuff. We’re not here to say, “We just put it in the warehouse. You buy it.” We’re here to service, sell it, and put it in our warehouse so you can buy it. But we want to earn that business. If you have great guys earning it, that’s good. Then on the flip side, the same thing in the office, between just the great people that are answering our phones and doing customer service and the product managers and the purchasing team and the IT staff and the sales, everybody. Ten years ago, you had to pull teeth to get people to move to Idaho and go to work for you, to come out of California or come out of Texas or Florida, wherever the motorcycle hubs were. Now people are calling us and going, “Hey, I’m moving to Idaho and I heard you guys are there. Are you interested?” Or we talk to someone and they go, “Oh yeah, I have friends that live in Idaho and they tell me how great it is.” So now all of a sudden, it’s getting a lot easier to recruit really good people. WPS is heavily into off-road and off-road racing. 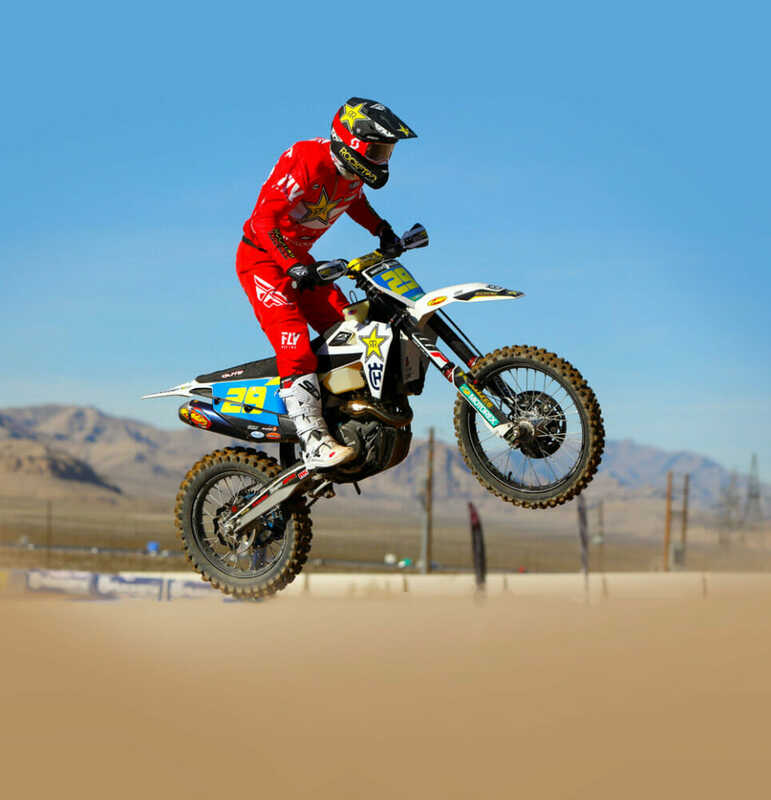 Andrew Short, who is racing the WORCS Championship this year, is a member of the WPS/Fly Racing family. Over the past five years or so, Fly has become one of the key apparel brands. A few years ago, you had some riders. Now you guys have some of the top riders winning championships. How does that evolution feel as a company?